In early 2018, the company NetEnt released a slot Wild-O-Tron 3000, dedicated to the space theme. 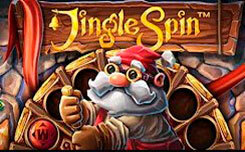 For a long time, the game was only available to a few providers, but from December 11, 2018, the slot will be available in all Netent casinos without restrictions. 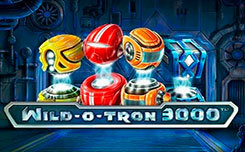 Wild-O-Tron 3000 slot is made in a futuristic style with a space theme. On the technical side, this is a standard gaming machine, with five reels and 20 constantly active lines. 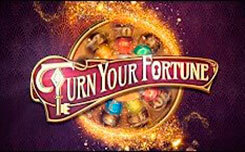 The main feature is the wild o tron function, thanks to which you can activate up to six additional wild symbols. 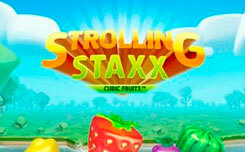 Also additional features include stacked symbols that are able to completely fill the game drum. The design of the Wild-O-Tron 3000 slot has a well-drawn design in retro style. The game screen is located on the background of the spacecraft with a futuristic control panel. 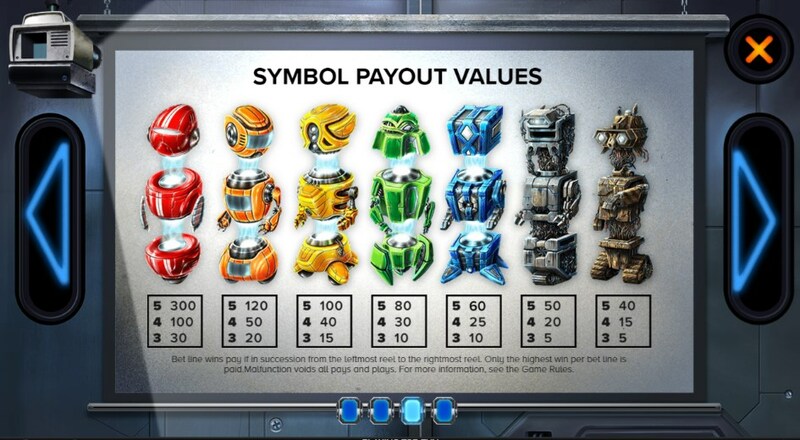 On the reels you will see seven multi-colored robots, which can bring from 5 to 300 game coins for five identical symbols. 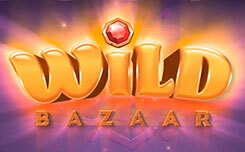 Wild symbol can replace any symbol of the game and has the appearance of a steel sphere with the corresponding letter W in the center. Bonus features slot Wild-O-Tron 3000. The only available feature is wild o tron. 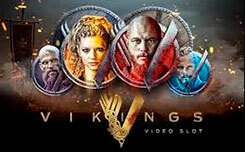 It is activated in random order, a lightning bolt runs through the game screen, the input of which transforms a certain set of characters into wild symbols, creating higher winning combinations during the next rotation. Also, during the wild mode, the characters are able to completely fill the game drum, thus you can get a win of 5000 game coins if you fill the entire game field. 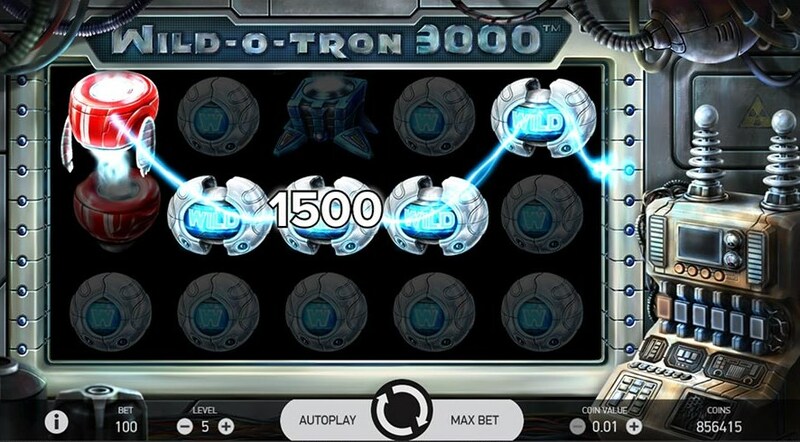 Making a conclusion, we can say that the Wild-O-Tron 3000 slot looks quite simple, but at the same time, it has great potential for a major victory thanks to the wild-o-tron feature and stacked symbols that are able to fill the entire game screen. If you like robot-like slots, we advise you to try the free BIGBOT CREW slot from Quickspin.